The website is managed through the Buninyong Information Centre by the Buninyong Community Website Group (BCWG), a sub-group of the Buninyong Joint Library Trust Inc (BJLT). 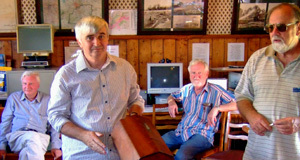 When first set up in 2007, the Buninyong Community Website was hosted by Neighbourhood Cable and supported by Ballarat ICT and Lateral Plains. George Fong and his team at Lateral Plains kindly gave us friendly technical assistance along the way whenever we needed it. Buninyong website designer, Liz Lumsdon of UpThere websites, designed and constructed both the 2007 website and the current revised CMS version and she continues to maintain it under the direction of the BCWG. Any income collected from donations and/or advertising fees is managed by the Buninyong Community Website Group and goes towards the costs of operating and maintaining the website. Advertising fees are payable by cheque, direct debit or cash to the Buninyong Joint Library Trust Inc. and any surplus will be used at the discretion of the Trust for the benefit of the Buninyong community. Photographs on this website were taken by Liz Lumsdon, unless otherwise indicated. 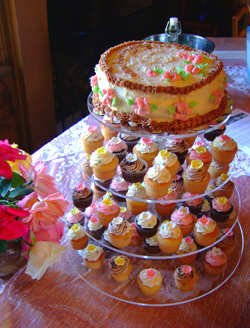 The website was launched in the Buninyong Information Centre on 17th February 2008, during the 2008 Gold King Festival. Thank you to everyone who came along to help us celebrate! 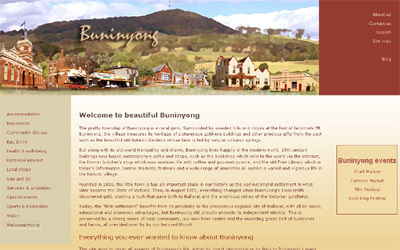 Buninyong's first website, buninyong.com, went offline in mid 2006 after several pioneering years as a source of information about Buninyong for visitors. Volunteers in the Buninyong Information Centre were quick to point out the need for a new website to replace it and when Australian Geographic Domain Names became available for the first time later that year, the Buninyong Community Website Group was formed to set one up for Buninyong with the domain name buninyong.vic.au. The former Buninyong Ward Residents' Progress Association (BWRPA) supported the concept and was extensively involved in the consultation and the development phase with initial representation on the BCWG. It was decided early on to broaden the scope of the website to give it a strong local community focus with comprehensive directories of local community groups and businesses as well as information for visitors. 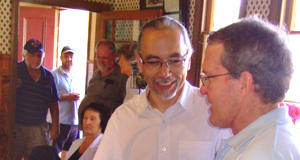 The early stages of development involved various levels of community consultation, culminating in a presentation to the Community Forum held by the BWRPA in May 2007. Cr. Peter Innes granted funding in 2007 to publicise the new website and Frances Winnell kindly gave permission for the vast amount of material she had carefully compiled for the 2006 Buninyong Directory to be transferred to the website forming the basis of the ongoing Business and Community Groups Directories. Former Buninyong Shire Councillor, Derick Leather also contributed a great deal of his research into the history of Buninyong's public buildings and assets. The new Buninyong and District website went online towards the end of 2007 and was officially launched in February 2008. In 2012 the Buninyong Community Website started hosting online versions of the Buninyong Newsletter produced by the Buninyong News Committee. It continues this service for the new-look Buninyong & District Community News produced by the Buninyong & District Community Association since February 2015. In July 2015 the earlier Buninyong website was replaced by a new more responsive design based on the popular Joomla! CMS in order adapt to the widespread usage of mobile devices. Early in 2016 auDA (Australian Domain Administration) invited the Buninyong Community Website to enter the ANZIAs (Australian and New Zealand Internet Awards); we were then delighted to be told at the end of June that we had been short-listed as a finalist in the Community Websites section. At a Gala Dinner held on Tuesday 30th August in the Plaza Ballroom in Melbourne, it was announced that this site had won the 2016 Leonie Dunbar Memorial Award for Community Websites. In her acceptance speech, Liz Lumsdon, the website's designer and co-ordinator, thanked the many people in Buninyong who contribute to the website and help to make it truly representative of our community. Many internet luminaries were at the dinner and awards were presented in six categories. The handsome ANZIA trophy is now on display in the Buninyong Information Centre. With hundreds of community websites in Australia and many more in NZ, ours was a big achievement and one we can all be proud of. The BCWG hopes that local people will support the website and continue to contribute new material. The website is about and for the community of Buninyong and District. It will continue to evolve and our input will determine its future.